Genryu Restaurant serves pasta and stone-oven baked pizza with locally grown toppings. 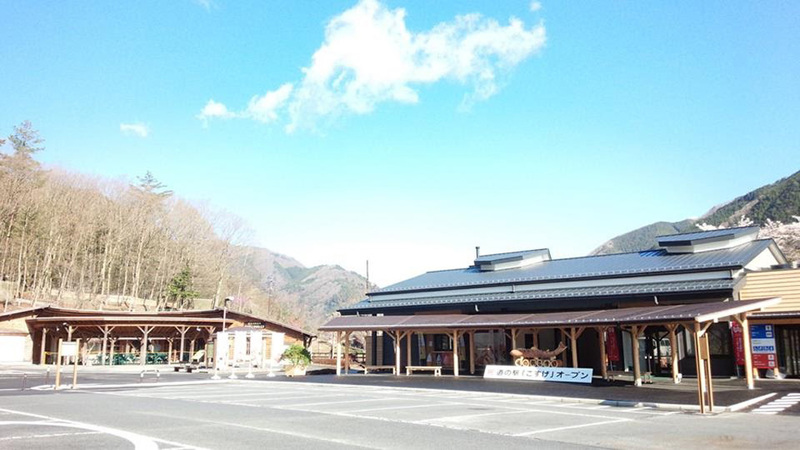 Kosuge Community Center houses information and news about Kosuge and the surrounding region. Kosuge Market sells souvenirs, local products, and produce including wasabi, konnyaku, and soba noodles. Forest Adventure and the hot springs are also located here.